Our artists focus on bringing progressive techniques and contemporary fine art styling together to push the industry forward into the future. We make unique custom work for collectors and first-timers alike. Pony Reinhardt is an astral ruffian, thriving in the wilderness of the lost and found nebulae and dripping carbon monoxide. Her art is a cosmic cataclysm of the Ghastly Phantastic. View her fine art at The Lost Fur. Pony has shown in the Smithsonian National Gallery of Art and her awards include US Presidential Scholar of the Arts, Virginia Museum of Fine Arts Fellowship, and The National Foundation for the Advancement of the Arts Silver Award. 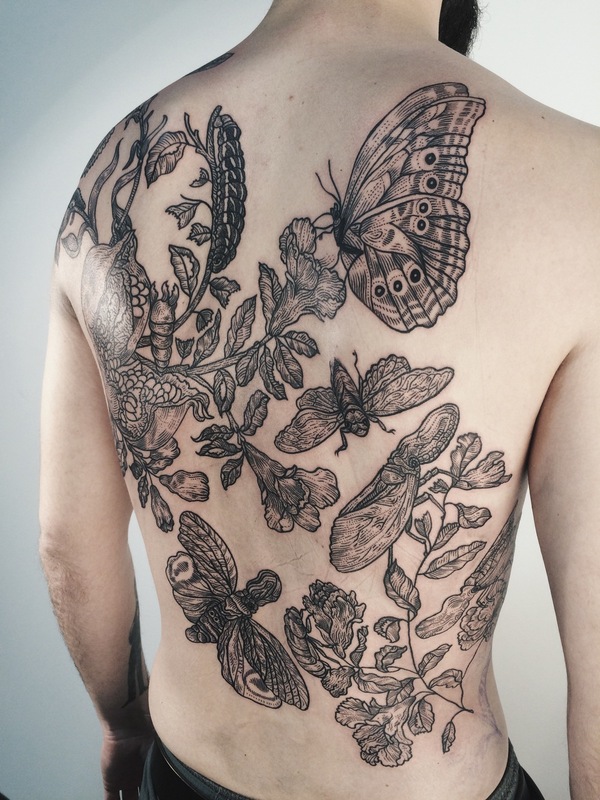 Her body of tattoo work is built on a framework of ritual placemats and alchemical diagrams. Each piece is a synergy of elemental spell materials, drawing inspiration from the natural world. Eve is a born and bred New Yorker with comprehensive experience in a multitude of art and music mediums. She has spent the last 6 years in the Brooklyn tattoo industry. 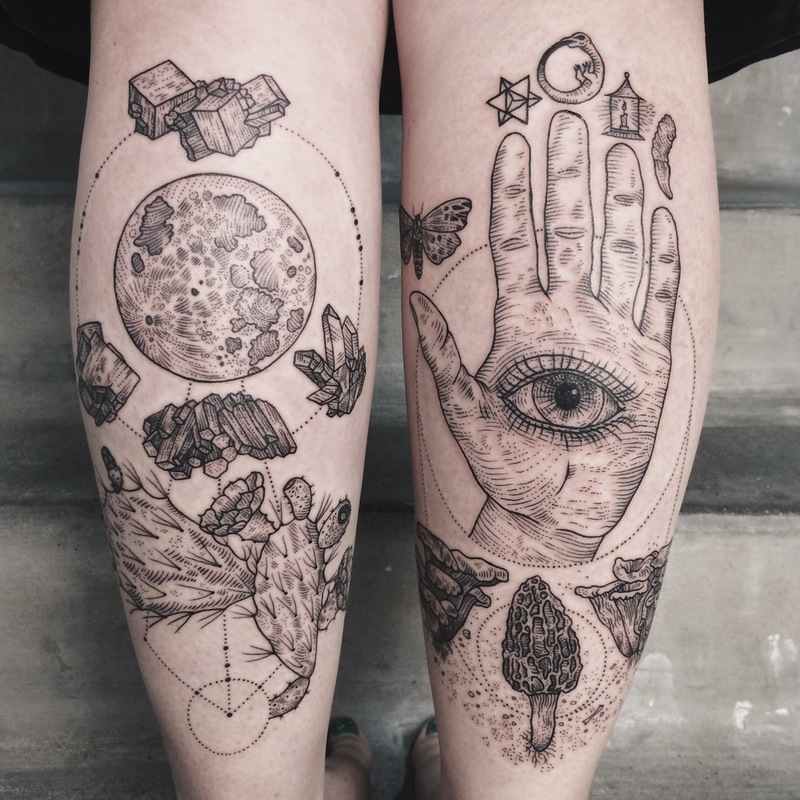 Drawing inspiration from scientific illustrations and renaissance oil paintings, she specializes in illustrative tattoos with nature driven femininity.